Kids 1st - Kids 1st Day Nurseries… loved by children and parents! 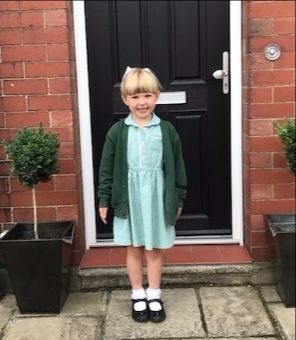 Kids 1st Day Nurseries… loved by children and parents! It is with great pride and accomplishment to say that our nurseries are now widely recognised and respected within the UK, trumping other nursery groups up and down the country. We are delighted at how far we have come from opening our first nursery 13 years ago, to becoming one of the popular and sought-after nursery groups. Earlier in the year we were named as one of the Top 10 large nursery groups in the UK from the leading day nurseries review site, daynurseries.co.uk. We couldn’t have achieved this without all of the lovely recommendations from our children’s parents and families! Your reviews and feedback is so important to us and we appreciate all of your support. 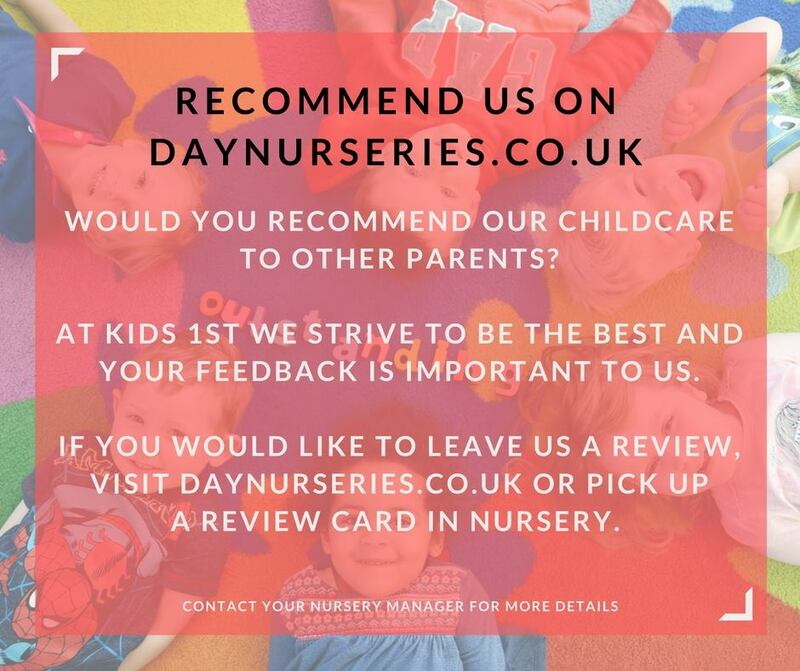 If you would like to recommend your child’s nursery and our lovely staff, please visit daynurseries.co.uk or pick up a review card at your local nursery. Please contact your nursery manager for more details.